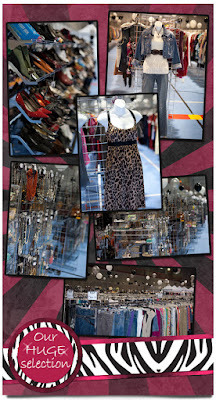 I am a huge fan of the huge consignment sales that come around every spring and fall. 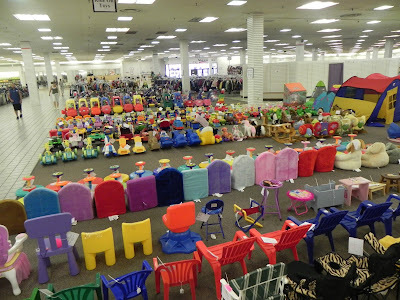 It is awesome to be able to head into a big venue and know that you have all the kids items you could need at your fingertips and.......at some fantastic prices! I've purchased everything from a double stroller, clothing, Christmas gifts, bikes, bike seat, helmets, shoes, boots, outside play equipment + more over the past few years. 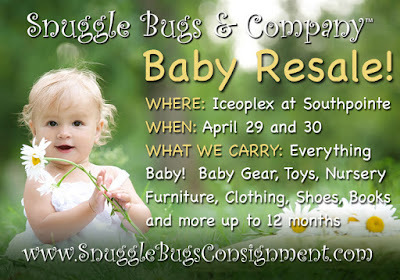 Snuggle Bugs Consignment is one of the best and they have some unique sales coming up! Read the following images carefully to see which sale (or which ones!) would be best for you. 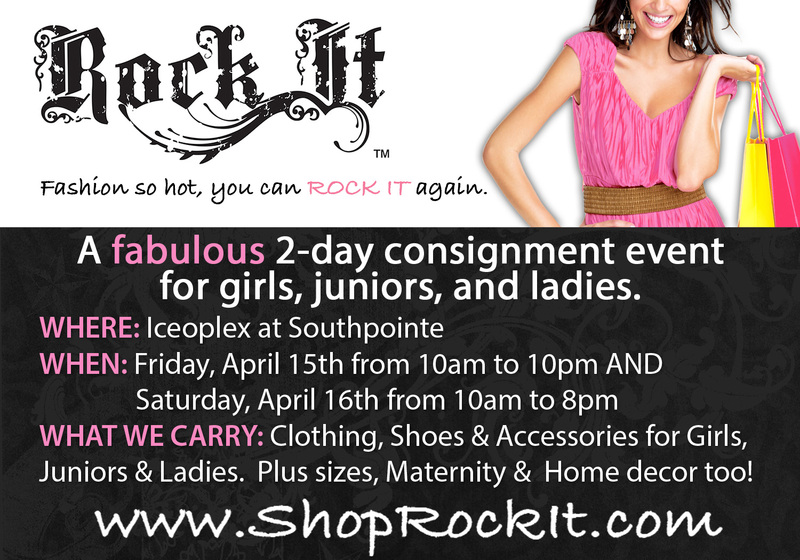 April 9th - 11th: clothing begins at size 12 months, up to size 10 for girls and up to size 20 for boys. 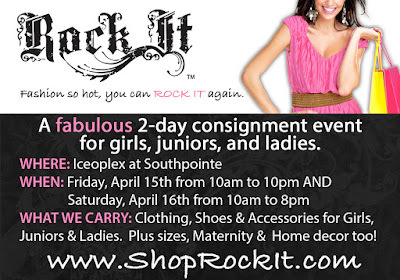 April 15th - 16th: clothing for older girls, ladies, maternity + household items. 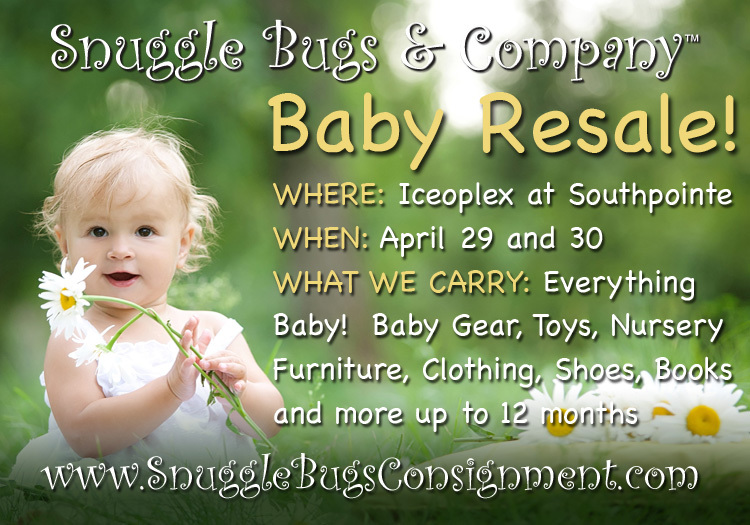 April 29th - 30th: clothing and all baby gear (strollers, highchairs, ect...) for 0 - 12 months. Toys, books, bikes, electronics for all kid's ages. If you have clothing, baby gear or toys that you are ready to pass on, you can also consider signing up as a consignor for one of these sales! 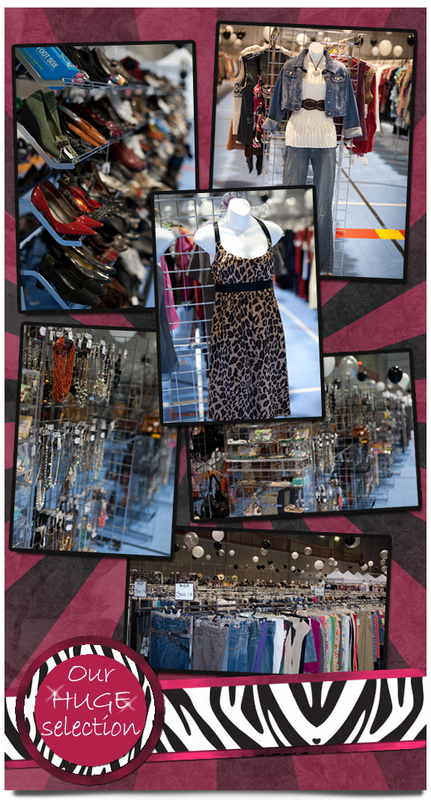 The cut off date to consign will be happening soon and spots are filling quickly, so sign up at their website as soon as possible. shopping night happens the night before their opening day. Before you enter, please like their facebook pages for your first entry. Click link below to finish your entry. All three sales will be held at the Iceoplex at Southpoint. 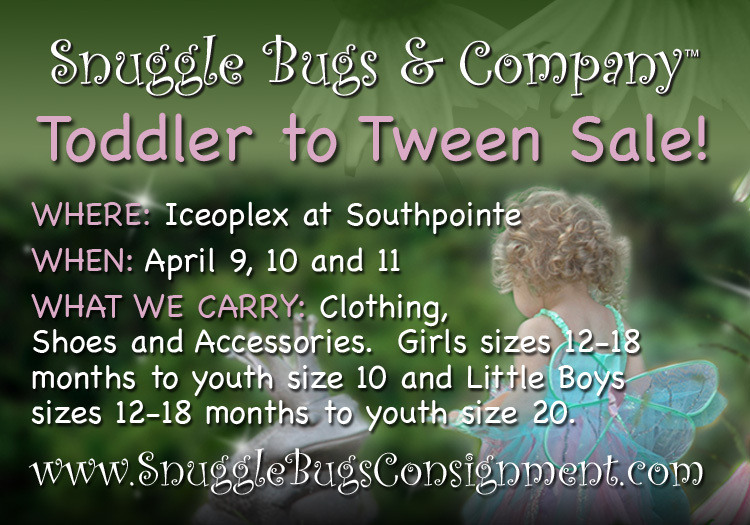 This post sponsored by Snuggle Bugs + Rock It Consignment. All opinions remain my own as I don't endorse venues I don't value! I haven't been to this sale yet but would love to check it out! Love Snuggle Bugs!!! But be prepared to wait in line to check out, best if you do not bring your little bugs shopping with you! Hope to find a good selection of older boys' clothes. I cant wait to go to the snuggle bugs sale for the first time!!! I would love to find a great pair of jeans!! Looking forward to both of these sales! You can read here lots of articles on related thematic that are contributed by top authors.